This post may contain affiliate links for more info visit my ​disclosure page. When looking for ways to lose weight, one of the biggest questions many people ask is, what can I eat? So when deciding to join any weight loss program, it only makes sense to learn about the type of foods you will be allowed to eat while on the program. One weight loss program in particular is Noom Coach. Many wonder what is the noom diet, and how do they go about selecting the type of foods their users can consume to help them lose weight. I plan on breaking down how noom goes about their food selection process, which is geared towards helping you get the best results. Unlike fad diets where they restrict a lot of healthy foods from you which can do more harm than good to your body. Summary: Then mental aspect of losing weight is just as important than the physical. So if you are someone that has struggled for many years with losing weight, it’s important to tackle the mental part that may be preventing you from getting results. With Noom, they can help you with this by providing you with a health coach to help guide you through the process. Noom is a wellness program that is designed to help you live a healthier life by helping you create better habits. Unlike other weight loss programs that focus just on the physical aspect of losing weight, noom focuses on the mental aspect as well. Because sometimes losing weight is more than just eating well and being active. Yes those parts a very important, but sometimes it just isn’t enough. For many, struggles with weight loss has a lot to do with personal thoughts and emotions that tend to be barriers. Which is what makes noom so unique. Their goal is to help you overcome these barriers by helping you become more aware of poor habits and creating better ones. Losing weight is all about making sure you burn more calories than you consume. Knowing this, the best way to make sure you lose weight effectively is to make sure you are tracking the food you eat on a daily basis. However, we can all agree that this process can be a bit tedious. Not only is it tedious, but it can be a bit difficult knowing what is actually being put into the food you eat, which can also cause you to get poor results. With noom, they make the process of selecting food so much easier. They let you browse and compare different food options which makes logging your food simple. Noom has a very large food database with over 3.7 million options to choose from. You can even select the portion sizes that make sense for the actual food item you’re selecting. The best part, all this can be done from your fingertips since you will be using your phone. Also, this is why it’s important to be up to date with technological advances. We pretty much do everything from our phones, so being able to accurately log your activity will be key to getting the best results. I’m sure you’re probably thinking that other programs have these features when it comes to meal selection. But what separates noom from all the others? One thing you have to be careful with, especially when it comes to these fad diets out there, is how the diet plan is created. You want to know that what you’re eating is being selected by specialists who understand what it takes to be healthy. With noom, your diet plan is being selected by a team of nutritionists and registered dietitians. They oversee the food database to make sure users are getting the most accurate information in regards to their diet. This ensures that everything you log within the app is recorded to help you meet your daily goals. This will give you the confidence to know that you are creating good habits for long term success. The noom weight loss plan offers both a healthy weight program and the diabetes management program. This will be important when selecting food items as each item is color coded based on those two programs. Healthy Weight Program – with this program, you will notice that when selecting your food, each item is color coded based on calories, which is key to weight loss. Diabetes Management Program – when it comes to those suffering with diabetes, less emphasis will be on calories, and will be more on carbohydrate intake. Management and proper care will be key to successful weight loss. Having the option for both type of programs allows for users to gain better control and understanding over their weight issues. It also helps that you have a team of experts providing you with sound advice. 4.) What Kind Of Foods Can You Eat? Knowing what to eat is always a hot topic when it comes to figuring out healthy weight loss. People are always wondering what others are eating that allows them to get in such great looking shape. For some, being consistent and eating the same thing everyday is a good way to go about it. Yes you may say it’s boring, and I would agree, but it can be very effective. But for those not interested in taking the boring route, and would prefer a little variety, the noom diet allows for just that. As long as you stay within your dietary budget of course. Since weight loss is about burning more calories than you consume, it’s important to make sure you stay around your daily calorie goal. And since noom specifies each food item in their database, managing that budget is made simple for you. So when it comes to knowing what foods you can eat, it really is up to you. As long as you are able to stay around your dietary budget, you can enjoy the foods you like. I think one of the coolest things about the noom program is the feedback you get throughout the day. This is especially helpful for those that are in the Noom Diabetes Management Program. The fact that all food items are color coded based on the program you’re on, as you continue to log your food, noom gives feedback for your selections. So making sure you are logging consistently will be important. As you log your food, noom will keep track of everything and even make suggestions to help improve your meal selections in the future. For many, this is the exact guidance that is needed to make sure you stay on track. It can be so easy to fall back into poor habits that get in the way of you getting the best results. So having this type of accountability can be a huge boost for your long term health. A diet, but a way of living. With noom, you’re not getting some program that’s made to last only a few weeks or months. Noom’s goal is to make sure you’re equipped with the tools and knowledge to keep the weight off for good. Noom is all about making long-term changes to achieve weight loss goals. Noom’s green food list will help you learn which foods are ok to consume based on your calorie budget. Using colors like, green yellow, and red, you can easily identify which foods will help you reach your weight loss goals. Now that doesn’t mean you can’t eat foods that are marked red, it just means you need to be mindful of the foods you’re consuming. Noom will help you develop better eating habits so that eventually you’re able to manage your diet without the help of Noom. Remember that losing weight is all about calories. If you’re someone that is not very active, then watching your calories intake will be crucial to your success. Reason being is that the less active you are, the less calories you are burning throughout the day. So you will have to make sure you watch what you eat compared to someone that is very active. The faster your metabolism is, the more energy that will be burned allowing your to shed those pounds. So even if you have to take long walks during lunch breaks, or taking the stairs instead of the elevator, make sure you are burning those calories. If you’re still not sure if this weight loss program is for you, Noom does have a 14 day trial where you can cancel at anytime before your 14 days are up. This will allow you to get a feel for the program and see if it is something that will work for you. You will get a chance to see what the noom program is and how it really works. Q: Does Noom Deliver Meals? A: No. Noom is not a meal delivery service. Noom is a weight loss program that looks to help you create better eating habits. By providing you with tools that help educate you on what’s healthy for you to eat based on your weight loss goals. So yes you still have to shop for your food items. Q: What happens when you reach your weight loss goals? A: Obviously you throw yourself a party and be very proud of yourself...lol. After that, you can choose to continue with the program, or cancel it if you feel you have a good handle on your eating habits. Q: I’m on my computer all day, can I participate in this program using it? A: Unfortunately you need a smartphone to participate in the program as everything will be done using your smartphone. Q: Does this program include a coach you can actually talk to? A: With noom, everything is done through your phone. So all communication, tips, and logging will be done using the Noom app. Q: I have a variety of food allergies, can noom help with this? A: Remember, you get to choose all the food items you want to eat. Noom is more of a guide that lets you know how it will affect your caloric budget. Based on your weight loss goals, noom will let you know which food items are good for you or not using their color coded system. Q: What kind of experience do the noom specialists have when it comes to diet? A: All of noom’s specialists have a variety of knowledge and education before joining the team. They come from various professional backgrounds like psychology, social work, nutritionists, etc. So upon signing up, noom has you go through a questionnaire where you can let them know of any issues you may have physically. Also, you can discuss with your specialist about your issues as well. Q: Does noom have any customized meal of exercise plans that come with their program? A: Noom does provide additions at a very affordable cost. When going through the checkout process, they will ask if you would like either a customized meal or workout plan to go with your standard membership. These are optional, so no obligation to purchase them. Q: Can me and my spouse use the program? A: yes, but it would have to be under two separate accounts. The reason being is that each individual has different weight loss goals. So it’s important to make sure each person is getting the attention needed to achieve successful weight loss. Q: Do I need to exercise in order to get results with this program? A: although I would highly recommend taking part in some physical activity to help you lose weight, it is still possible without it. Just keep in mind that it will be a bit more difficult. That’s because weight loss is about burning more calories than you consume. And although noom can help you manage your calorie consumption, being active increases the chance of you burning more calories throughout the day. Q: Can I pay month to month? A: Unfortunately depending on the membership you choose, noom takes it all in one shot. However you are allowed a 14 day trial to decide if you their programs works for you or not. During this trial, you should not be charged no more than $1. Q: I’ve tried other weight loss programs, how do I know if Noom will work? A: I always tell people that there are no one size fit all weight loss program. A program that works for one person will not always work for the next person. But what makes noom different from a lot of other program is it’s focus on dealing with the mental aspect of losing weight. So many other weight loss programs focus on the physical part which is healthy eating and exercise, but for some, it’s just not enough. Sometimes there's a mental barrier that's stopping you from achieving successful weight loss. So noom works on helping you overcome that part of losing weight. Q: Can you drink alcohol on this program? A: Sure! Just be aware of how it can affect your calorie budget for that day. As long as you’re making a conscious effort to eat healthy during the day, then it’s ok to enjoy an alcoholic beverage. Just make sure to consume in moderation. Q: I eat out a lot, how does that factor into this program? A: Just make sure to log in whatever meal you consume during your meal so you know how it affects your calorie budget. Q: Does noom have an accountability group or partners besides just coaches? Q: I’m a vegan, can I use this program? A: You sure can! Remember, you have total control over the foods you consume. Just make sure to log it all into the app so you have a clear picture of your eating habits. Sally I am 66 years old and had a stroke almost 6 years ago. so I am limited on what I can do as exercise. I spend a lot of time in a wheelhichair Would Noom work for me? Hi Sally. I hope all is well with you since having your stroke. To answer your question if Noom can work for you. Considering your activity level, making sure you’re managing your diet will be very important. Depending on your weight loss goals, making sure you track your calories will be key. Noom does a great job helping you manage all this, so I would definitely give it a try to see if it is something that can work for your situation. You get 14 days to try it, so it’s definitely worth a try. I hope this helps answers your question. All the best to you. I’m hypothyroid so how does this way of eating and lifestyle change hinder or help this help problem? The great thing about Noom is that you are assigned a health specialist that can give you advice on how to manage your eating habits. Just let them know about your hypothyroid, and they will guide you on the best way to manage it. Thanks for commenting. 2- I rarely have an appetite and normally don’t eat more than 1 meal daily, sometimes 2 meals. 3- Around 2 years ago I had ended up being totally bed-ridden and slowly trying to rehabilitate myself with various home exercise equipment but rarely use them because it’s so overwhelming trying to figure out what to do with each of them, how often, etc. I can barely walk around a 1 br. apartment for longer than 1 minute but at least I’m able to do that. Will noom still work for me and are your trainers experienced in working with people that have physical limitation? I’m sorry for everything you’re going through in regards to your health. I understand how difficult it can be to live a healthier lifestyle when dealing with certain ailments. But the great thing about Noom is they have health specialist that are experienced when it comes to those suffering from certain physical limitations. I would definitely give them a try and see if it is something that can work for you. You get 14 days to try them out. All the best to you. I am looking for weight loss program that does not include any fat loss medications. Does your program conduct weightloss with supplements and fatloss tablets? Or it is naturally conducted with meal plan? Hi Dipti. I don’t think any supplements are used in this program. You basically get to choose the foods you like to eat, and you have a health specialist guide you through the process. Hi I am a nurse and work 3 12+ hours per week. It is almost impossible to stop and eat when at work. On top of that I am a extremely picky eater. Do not like a lot of veggies. When I go on diets I also find myself craving desserts and crunchy food. Can Noon help me with these problem? Hi Lisa. I think many people have this same issue. The great thing about Noom is that they assign you a specialist you can connect with to help you overcome the mental aspect of unhealthy eating. I would definitely give them a try, especially since they have a 14 day trial, and see if it is something that can work for you. after having read about your program, I would be curious to try. As some other people here, my biggest issue is that I travel for my work. I understand that i can choose my meals with the help of Noom but in many case I have to participate to set-up dinners in which the menu is fixed for everybody. In these cases, how do I manage the program? Is there a way to “compensate” these dinners (they would be max. two/week)? Hi Jarna. I definitely understand the difficulty of making a meal for the family when you’re trying to achieve your own goals. I would try to make a meal that still helps you accomplish your goals, and would also allow the family to enjoy. You should definitely have a conversation with them, and find out what they like, and see if you can create a meal that works for everyone, but still allows you to stay within your calorie budget. Hope this helps. What happens once you reach your weight goal? Does the program adjust for maintenance? Are there any changes in the calorie budget? If you reach your weight goal, and you decide to continue with the program, you can adjust your budget to help you maintain. You can also let your noom specialists know about your new plan, and they can assist when needed. Thanks for commenting. Does this program include a coach you can actually talk to, do photo check ins and weight checks aside from them monitoring my food intake? Hi Lauren. I’m not sure about the photo check, but everything else you can log within the app. You’re goal specialist has access to this info, so you can discuss it with them. Hope this helps answer your question. Hi I travel a lot for work and was wondering if I have to bring all my meals and food with me or will you show me on the list foods that I can eat out? Hi Cindy. I would think that having to bring your meals everywhere with you would be pretty inconvenient. Remember, Noom doesn’t really tell you what to eat, they help educate you on what’s healthy for you to eat based on your weight loss goals. So if you’re someone that likes to eat baked chicken at home, then while you’re traveling, stop by a place that serves baked chicken, and make sure to log it in the noom app. This will help you keep track of everything you’re consuming. Hope this helps. how much is the monthly cost in NZ dollars. Hi Charmaine. I’m not exactly sure, but you should be able to see the cost during checkout. I have been on so many diets that I do not know what to eat anymore. Does NOOM have recommended menus? Hi Christin. Noom has a recipe list each showing how it fits within your calorie budget. I hope this helps answer your question. Can u help with a Gluten free diet? Hi Antoinette. You still get to choose which foods you choose to eat. Noom just helps you understand how it helps you reach your weight loss goal. Can you describe the coaching? Is it a phone call? How long and how often do you talk? Are you talking to a trained nutritionist or to whom? Hi Anne! With your subscription, you get access to both a support team, and a 1 on 1 specialist. Both can be accessed through chat on your phone. The group coach is usually in contact with your on a daily basis M-F. With your 1 on 1 coach, both of you will decide the level of communication that is necessary for your goals. Many users are comfortable with checking in 1-2 per week. And depending on the program you’re in, phone support may also be available. But I would talk to your coach about that. I hope this answers your question. Unfortunately, I have a variety of food allergies. Also, I need to follow a “antiinflamitory” eating plan per my Dr. Some of the foods I have to exclude were my favorites; anything in the nightshade family: tomatoes, peppers, eggplant, potatoes. It has been frustrating. How would this work in your program? HI Marie. The great things about noom is that is totally up to you on what foods you choose. Noom just let’s you know how it fits within your calorie budget. Just choose the foods that doesn’t affect you negatively, and just check log it into noom to help you keep track of everything. Hope this helps. Are the program fees quoted in my initial questionnaire in US or Canadian dollars? Hi Carol. Upon checkout, you should be able to the currency based on your location. Please let me know if that is not the case. If you do choose to add the workout or diet plan is that additional/month or a onetime fee? Hi Beth. Noom charges you in one shot, so it would be a one time addition to your total package. Hi i tried noom for a week and really loved it. My only problem was i heard after 14 days they charge your card 100.00. Is this true? I can’t afford it if it is so i deleted the app but i was starting to lose weight and was feeling better. Hi Christa. Noom charges you in one shot, not every month. I’m sad to hear you’re unable to afford it especially since you’re getting really great results with it. All the best to you. From my reading the monthly charge is as low as $32.50. Hi Tamaisha. Christa Hunn is referring to the 2 month plan noom offers. Either plan offers the same benefits. It’s just a preference of how long you would like your subscription to be. Also, noom offers a few packages, with the 4 month subscription being the most popular. I hope this helps answers your question. Hi Jean. Unfortunately Noom charges you in one shot. Hi Jonee. You could probably do that, but understand that each program is designed for specific situations. Since you’re not a diabetic, it may be a bit difficult for your coach to attend both your and your husbands dietary needs. But that is something you could speak with the coach about. Hope this helps. Do you buy your food or do you buy your own food? I did do weight watchers and now I eat a lot more chicken and turkey. Zero pts. Is your system the same as weight watchers? With noom, you have to purchase your own food. Noom doesn’t use points, but a calorie budget. You can eat whatever you want, but you need to make sure you stay within your budget, which involves eating healthier food items. Hi, thinking about trying the trial but I’ve heard there’s pills involved. I’m not interested in pills. How long does it take to submit? Hi Sandra. I’m not sure where you heard that, but I’ve never heard of any pills being used while using Noom’s program. My wife and I are both interested, we’re on a fixed income and $70+ a month is pretty steep for us. Are there plans for couples or can we both follow one plan? Hi Duane. Unfortunately each person has to sign up to their own individual account. This is because each person has different needs in terms of their diet. I was diagnosed with PCOS in my early 20s. Basically this means that there are hormones in my body that make it extremely difficult to lose weight. The effort one puts into losing one pound, it takes 5 times that effrot for a person with this syndrome to lose that one pound. As a matter of fact, every doctor I have been too, even the best of the best endocrine doctors have stated that once I gain weight, more than likely the effort I put into losing the weight will be excruciating, ans more than likely near impossible to lose. Will this fact be considered in making my plan, and are the doctors creating the plans qualified to take this into consideration? I mean no disrespect or to offend anyone. No offense taken Jean. I feel for all you have gone through and continue to go through in regards to losing weight. To be honest, I’m not a doctor so it would be hard for me to say if Noom will work for you based on your condition. All I can say is that noom does have professionals that can help you manage your diet. Just make sure to let them know about your condition, and I’m confident they will do their best to help you. I’m sure hearing the doctors say it’s likely impossible for you to lose weight, but i’m sure there is a way. You just have to find something that works for you. And if you do try Noom, I hope it’s finally the solution you’ve been looking for. All the best to you Jean, and please don’t give up. HI Curtis. I don’t think I’ve seen any options that allows you to create a shopping list. Sorry! I’m vegetarian and do not want any kind of protein based diet or one that uses grazing. I would like some info regarding meals the program suggests without going directly to a trial period. Hi Sallie, the great thing about being in the noom program is that you have total control over what you choose to eat. If you feel like eating a no protein diet like you suggest, you can choose the food items that will satisfy that diet. You can also have a discussion with your noom coach, and they can offer you tips and advice on how to best manage your diet. Again, you have total control over what you choose to eat. Noom coaches are there to help support you and offer you advice on how to best manage your weight loss. Hope this helps. Hi. I make most of my food as soups and homemade. I grow most of my own food. I make a lot of probiotics. I still have trouble losing weight. however, I have tried to do the recording piece, and it is really problematic when one just throws different things into a stir fry or a soup. are you able to deal with someone like me? for supper tonight I had smoked salmon, roasted squash, and a black bean soup. I have snacked this afternoon on sweet potato chips. I drink kombucha, mostly home made. for lunch I had a lettuce salad with a hard sheep gouda cheese and an avocado and pickle juice from homemade lactofermented pickles. pretty healthy… I most likely have the biggest problem because of the amount of antibiotics I had to be on this summer after being diagnosed with a MRSA infection. thoughts? Hi Rebecca. I would definitely speak to a Noom coach. Seems like you eat very healthy. Not sure what your physical activity is like. What are some of your goals in terms of weight loss. Maybe having a coach get help guide you reaching your fitness goals. HI Steph. The great thing about Noom is that they provide you with a coach to help you manage your diet. And it may be exactly what you need to help you finally get the results you’re looking for. I would definitely give it a try especially with their 14 day trial.Thanks for commenting Steph! Hi Karen. Noom does have a diabetic program. So you could give that a try and also make sure to speak with your noom coach about your health issues. They’ll discuss with you how to manage you diet around it. Thinking about signing up for noom and have been doing some research. Are there any sample meal list that I can look at to see if I can fit it into my busy schedule. We don’t have a lot of time for food prep and typically use one of the home delivery fresh food services to help us prepare some of our meals. Hi Patrick! Noom offers a variety of different food items, along with recipes. Based on your choices, using it along with your home delivery fresh food service could be a very good idea. Thinking about joining, but I see only two different diet/eating plans are offered. One is carb restriction for diabetics and the other is calorie restriction. I am not diabetic, but I do know that I must eat keto to lose weight. So, in the questionnaire, should I choose that I am diabetic since the recommended plan will restrict carbs? Or just go with calorie restriction? And are the plans based on meeting specific macros? If so, my keto macros will be off on either plan. What I DO need help with most is the mental aspect of weight loss and that is why I am considering this program, but don’t want the diet plan to make it seem like I am non-compliant, if that makes sense. I tend to self-sabotage, make a small mistake and throw in the towel, get down on myself, etc. THOSE are the things I need the most help with. Hi JulieAnn, if you’re not diabetic, I see no reason to choose that plan. You can still choose foods based on your keto diet. You can also speak with your health coach, and they can also give you advice on your diet choices. In regards to the mental aspect, Noom coaches are really good at helping manage all that. They will hold you accountable to you choices, and give you support when needed. I would definitely give it a try. You do have the 14 day trial, at least you get an idea of what to expect with the program. Thanks for commenting. Can I do this on my tablet? My phone has limited storage. Hi Tammie! You sure can access everything from you tablet. I have an offer in my email for 80% off my 12 month annual program if I choose to join. What is the 80% come out to be? Hi Natalie, I’m not aware of any 80% off offer, but If that is the case, I would go through the checkout process and see if they take it. Seems like a very good deal. I’ve started to diet and so far I’m down 29 pounds.. the problem is that I’m sitting at 29 pounds. I don’t know if it’s the lack of food I’m eating or stuff I’m cutting out or the lack of exercise I can’t do from the back surgery I had last year and I’m still not 100% ..
I’m getting married in September and of course like most brides want the dress and day to be perfect but I would love to get over this hump. I have about 55 more pounds to go to be happy. Can your coaches aid me in the right direction? Hi Dana! First off, congrats and good luck with the wedding planning.Sometimes having a coach to help you get past that plateau that many seems to get stuck at. Noom coaches can offer tips an advice on how to break through it. I would definitely give them a shot, because you never know what they may uncover during your weight loss process. Maybe you’re doing something habit wise, that one of the coaches may be able to figure out. Good luck with everything. I would like to try the program, however, like others tracking your food everyday gets old. I would like a program when I choose foods I like from a database and a couch gives me a meal plan to follow. Is that possible using this program? Hi Ashley! Yea I can understand that tracking food can get old if the results don’t follow. But noom is great at helping you manage every aspect of losing weight. Both the mental and the physical. Noom does have a feature for meal plans, but it comes as an additional cost(affordable) to the standard membership. Hope this answers your question. Hi Jocelyn. First of all, congrats on your success with surviving cancer. Hearing that tells me you’re a fighter and that you can accomplish many things. If having a bad sweet tooth is the issue, then Noom can be a helpful program to use to overcome that. Just make sure to have a discussion with your noom health coach about it, and they will develop a plan to best help you break down that barrier. I wish you all the best in your journey for weight loss. And I have no doubt that this will be another obstacle you will overcome. Hi, I am a 56 year old female who has been slowly putting on weight for the past 15 years. I believe, I am an emotional eater and tend to self-sabotage. I had always been able to manage my weight with the exception of the last 15 years. For the past 15 years, I have slowly lost focus, drive and my joy. In addition, to not sleeeping well. For the past 4 months, I have been on Prednisone for Polymyalgia Rheumatica. I have gain an average of 40 lbs within those 4 months. This is on top of the already slowly creeping weight. I am 5 feet tall and now weigh 238 lbs. I have tried MANY weight loss programs…I start strong and along the way lose interest or go through emotions and boom…self-sabotage. I am a student working on my graduate degree and unable to concentrate or maintain motivation. I am more concerned about my drive than motivation. I have no energy whatsoever. The truth of the matter is, my life has completely changed. Last year, I had shoulder and bicep tendon repair surgery and a month ago, the same on my left shoulder and bicep tendon. I use to love detail cleaning and used it as a form of staying active. I have a treadmill, a Tony Gazelle and an elliptical…I just have no drive. My diet consists of high carbs and little or no vegetables or fruits. Oh, very little water. My sister and her husband are fitness gurus. When recently speaking with her, she recommended I see a therapist. I am not consistent which makes it even more difficult to stay on any fitness program. My question…what can you do for me? How can I get my drive and joy back? I want to feel the feel of thin again. Hi Marilyn. I definitely feel for you and the struggles you are going through when it comes to losing weight. Just know that you’re not alone, and many others are working on trying to figure it out as well. The great thing about noom is that you’re assigned a health coach that can be a great guide to keeping you on track when you feel most vulnerable. If ever you have a question or need a bit of motivation, the coach and support group is available to you right on your fingertips. Sometimes just having that person to hold you accountable can be a great thing for getting results. So please don’t give up on your quest for better health, because you need to know you deserve it. I hope this helps. I can totally feel Marylins’s frustration and disappointments!!! I’m 65, and now feel like I’m just meant to be like this from now on. Most of the time, especially after I read people’s success stories, I feel that nobody can help ME!!!! I can’t stick to anything…the moment I feel restricted, I go bananas ! I just want to be the shape I’ve longed for ONCE IN MY LIFE, before I die!!! It sounds like Noom is just weight watchers. What makes this company different? Also, logging my food intake and exercise doesn’t work well for me in the long term. What can Noom do to help me? Hi Rasheda. As a fitness professional, I can tell you that there are many tools available to help someone lose weight. Some free, some you have to pay for, the thing is, not every method works for everyone. Yes the principles are the same…eat healthy and exercise daily. But for some people, not only is the physical part of losing weight a hurdle, but also the mental aspect as well. Noom does a great job at helping you manage that part. Now will this program work for every single person, no program does. But for everyone giving it a try, Noom could be the program that finally does work for you. And there are many people who have had great success with trying this program out. So I hope you give it a try if you haven’t already. I would really like to hear from you about it, and thanks for your comment and question. I really do appreciate it. Hi there, I just joined the trial but the app won’t download on my Blackberry 10, we have tried everything. I need to get a refund and cancel since the app is not compatible with my android but it won’t let me unless I can download the app which I can’t is there any other way? Thank you! Hi Tammy. Sorry to hear that you’re unable to use the program. Unfortunately you do need a smart phone that uses either Android or IOS. There is a 14 day trial so you won’t be charged within those 14 days. So you need to make sure you put in a request with your coach in order to do that. The issue with that is you need to get access from an android or IOS device. So what you can do is, try logging into your account from here, and if you’re unable to do so, then you will have to borrow a family or friends device, download the app, and cancel from there. Again sorry for the inconvenience. I know you would have loved trying out the service. Hi! I will be upgrading in the next month but for now I have the IPhone 5. Will that app be compatible with the older IPhone? Hi Clinta. It should be. Please let me know if you have any issues downloading the app. I’ve had gastric sleeve surgery 5 years ago. I lost over 100 pounds and the weight is beginning to creep back on. Do any of your nutritionists have training and experience to help with my altered physical restrictions? Hi Laura! All of noom’s coaches have a variety of knowledge and education before joining the team. They come from various professional backgrounds like psychology, social work, nutritionists, etc. So upon signing up, noom has you go through a questionnaire where you can let them know of any issues you may have physically. Also, you can discuss with your coach about your issues as well. Hope this answers you question. When signing up for noom it asked if I wanted to purchase the nutrition curriculum, exercise curriculum or both nutrition and exercise. What does purchasing those curriculums get me in addition to the standard noom app without those curriculums? Hi Tina! Those are just additions to the noom program. If you’re looking to get a customized meal or workout plan created for you, noom will provide that for you for an additional cost. But if all you want is the coaching aspect coupled with being able to log your meals and exercise, then I would recommend just getting the standard membership which is just as effective. Hope this answers your question, and thanks for commenting. If my husband and I both need to lose weight, we both cook. How would we utilize this program? I really dont want to prepare completely different meals breakfast lunch and dinner. Any suggestions on how to do this? 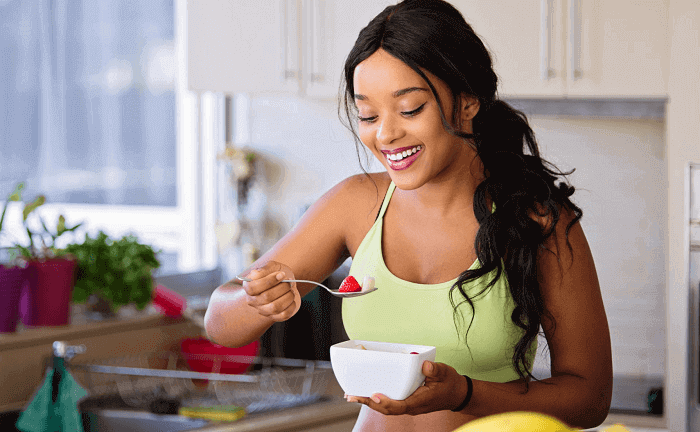 Without knowing exactly what kind of meals you are preparing each day, assuming it’s healthy, making sure you log all your meals will be very important. This will help you keep track of what you are putting into your body. Also, by having a Noom coach available to you, they can provide you with tips on how to manage your eating habits. I am 62yrs old and have suffered with chronic back pain for 23yrs. The older I get the less active I’ve become due to the pain it causes me. And in return the more weight I have gained. So how can this program help me stick with it? Hi Cindy. I’m sorry to hear about all the issues you have been going through with your health. 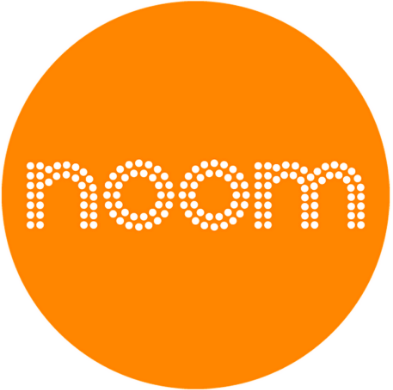 Noom does have specialist that will work with you to help you with your weight loss. Just let them know of your issues, and they will map out a plan that will work best for you. Hope this helps. I’m in the same boat but I am eager to get a coach that can help me reach my goal. Hi Regina! Having a coach can be a very motivating thing since you have someone that is not only supporting you, but also holding you accountable for you habits. And what makes Noom so effective is it’s affordability. Compared to personal training, you are getting coaching at a fraction of the cost. So I definitely think giving Noom a try is worth it. Hi Rhonda. Drinking beer is ok to consume as long as it’s done in moderation. Just make sure to log it and manage your daily caloric intake. Thanks for commenting. Hi Susan! The noom coaches come from various educational backgrounds. Like psychology, social work, nutrition, exercise physiology, and others. Not only do the coaches have experience in the field necessary to better help their clients, but they also go through training several times a week to improve their skills. So you’re definitely getting professionals to help you reach your weight loss goals. I hope this helps answers your question.Thanks for commenting! Wish your company would seriously consider preparing the right foods for us to eat each day -and deliver! I would sign up immediately! My MIL just signed up for a program like this it cost over 300 a month. They deliver your meals for the month and all you do is cook. They have a coach but idk how good they are. She’s been on it for a couple months and she has lost maybe 20 pounds. So if this is what you want you might want to check into that. noom helps you learn healthy food from bad food that you should eat moderately. They help with learning to deal with some food problems. And such. I still have to talk to husband cause he is the only one that works but I might do this. Can I stop at any time or is there a subscription period I will have to commit to. Hi Mary. Noom offers a few subscription options that vary in length. Depending on which one you choose, you will have to commit to it for that time period. However there is a 14 day free trial period where you can cancel if you don’t feel the program is for you. Just make sure you let them know before the 14 days are up. Thanks for commenting. You sure can Carol! Please let me know if you have any other questions. I’ve just started using Noom – is there a way to connect to my Apple Watch to record steps & exercise without having to log also on Noom manually? Thx. I tried reading through all of the comments but didn’t see my answer. I’ve tried many diets and they work while I’m on them but I don’t want to be stuck counting calories forever. This diet sounds similar to weight watchers. How is it different? How are people more successful? Not only is losing weight physical hurdle many have to get through, but also mental. Noom provides it Customers with coaching that allows you to tackle the mental hurdles that get in the way each and everyday. Knowing that it’s ok to eat the wrong thing and not derail your whole attempt at weight loss can be very helpful. So it’s important to have that support person to help you stay on track when things get difficult. I am eating keto to help keep carbs under 59g per day due to corticosteroids. I started factor75 because it helps when I can’t cook. Does your program allow for a meal delivery service? Hi Heather! Unfortunately the noom program doesn’t deliver food to you. You pretty much log the food you consume throughout the day. If you’re asking whether Noom is ok with you using a meal delivery service, the answer is yes! Hi Brenda. Sorry for everything you’re going through. I know how difficult it can be to try and focus on building a healthier you when going through so much. The great thing about Noom is that they provide you with a health coach that will work with you personally to help you better manage everything. Just make sure to tell them everything you just told me so that they have a better understanding of how to setup a plan that works best for your situation. Thanks for commenting and I wish you the best with your weight loss journey. Do I need to have a Fit Bit or Garmin type device for this plan to be effective? Hi Mary Jo. You don’t need any of those things for the plan to be effective. But if you have it, it can definitely help. But as long as you have your phone, you have exactly what you need to get the results you’re looking for. Thanks for commenting. Are the coaching interactions done by text at a specific time? Live exchange? I am full time care giver, not always available. How does this aspect work? Great question. It will depend on what you and your coach decide on the best way to communicate with each other. In some cases you can even communicate with a phone call, but you will have to discuss this with your coach. I’m more of a flexitarian, I don’t eat any beef, mostly seafood and some chicken. Don’t go near tofu, etc. love most veggies. However, sweets and bad carbs are my downfall. I also deal with depression and back issues. I have a gym/pool membership but find myself sleeping a lot and becoming a couch potato! I need a leader when it comes to selecting appropriate menus. HELP!!!! Hey Donna! These are definitely things you would let your health coach know so they could guide you through the process of trying to overcome everything you’re dealing with. This is what makes the noom program so effective. Sometimes eating healthy and exercise daily isn’t enough. Having someone to help guide you and provide you through the mental aspect of losing weight may be exactly what you need to get the results you’re looking for. So you should definitely give Noom a try if you haven’t already. I really appreciate your comment! I’ve been heavy all my life. After quitting smoking 3 years ago, I’m now at 375 pounds. I’ve bennon the diet roller coaster, tried every fad diet, refuse to have bariatric surgery and am frustrated and done with dieting. I’ve also heard all about lifestyle changes, kept food journals and even got cured out by a local supposed weight loss professional. I’m interested in looking further as a last ditch effort to lose the weight and to keep it off for life. I’m almost to the point of believing that I’m just supposed to be heavy.